Indigenous Peoples Day, the holiday that celebrates Native American culture and its people, is celebrating its 25th anniversary in Berkeley this week. It's also the holiday that began as a Bay Area counterprotest to Columbus Day. Here’s how it happened: In the 1980s, then-U.S. President Ronald Reagan created the Christopher Columbus Quincentenary Jubilee Commission. Its job was to come up with a grand celebration to commemorate the 500th anniversary of the arrival of Columbus in the Americas. The plan was for replicas of Columbus’ three ships to sail along the East Coast and then over to California. “They were going to go into the Panama Canal, and sail into the San Francisco Bay as part of this national hoopla,” says John Curl, Berkeley resident and one of the organizers of the first Indigenous Peoples Day. Curl says this idea of having the Bay Area as the centerpiece of Columbus Day celebrations did not sit well with him and a lot of native people. So they formed a group to counterprotest the jubilee. They called themselves Resistance 500. That's exactly what they did. In 1992, just weeks before the 500th anniversary of Columbus’ arrival, Curl and other native leaders convinced Berkeley's City Council to get rid of Columbus Day and instead celebrate Indigenous Peoples Day. On Oct. 12, 1992, Berkeley became the first official city in the U.S. to celebrate the holiday. Now, 25 years later, several other cities have followed suit, including Seattle, Austin and Los Angeles. “All we did was plant the seeds for this, and we’ve just tended to it for over 20 years,” Curl says. And if you’re wondering what happened to the grand Columbus Day celebration that was planned to end in San Francisco Bay, that ship never sailed. 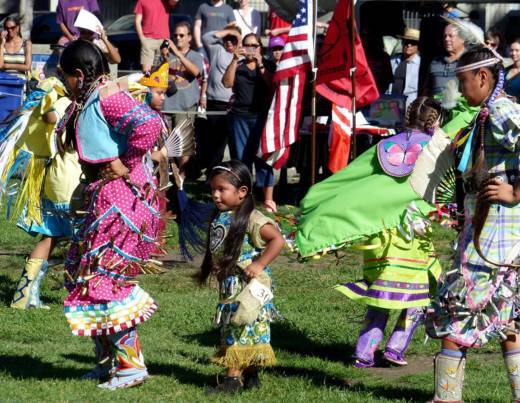 Berkeley will celebrate its 25th annual Indigenous Peoples Day Pow Wow on Saturday, Oct. 14.